In the spring of 2009, Eastern Michigan University (EMU) partnered with ENGIE Services U.S. (ENGIE) to make four residence halls and two dining halls more efficient to operate and more comfortable for staff and students. With ENGIE as a trusted partner through every step of the design-build program, EMU was able to make essential facility upgrades that resulted in reducing energy costs by several million dollars over the life of the program. After completing comprehensive facility upgrades during the successful first phase of work, EMU partnered again with ENGIE in the fall of 2016 for a $19.8 million project to improve the performance, reliability, and efficiency of its Central Heating Plant. The University needed to replace a 64-year-old boiler and a 28-year-old cogeneration system located inside the Central Heating Plant, both of which were nearing the end of their useful lives. The recent cogeneration modernizations provide greater power reliability for the community. The new turbine and corresponding Heat Recovery Steam Generator are capable of producing up to 7.8 MW of power and 90 MMBtu of steam, respectively. This production is a significant improvement compared to the output of the old system, which topped out at 4.5 MW and 56 MMBtu. Such a large increase in generation capacity from that of the current cogeneration system is advantageous for both the University and community. In the event of a major energy outage, EMU will still be able to operate and be in a position to be a safe-haven for the surrounding community. In addition, the program is continuously monitored using Utilityvision™, which provides detailed data revealing usage patterns, system degradation, and opportunities for plant efficiency optimization. The upgrades inside of the Central Heating Plant represent a unique learning opportunity for students attending EMU’s College of Technology. ENGIE’s Education Team worked with University faculty to roll out an internship program which utilized the cogeneration technology as a real-world learning opportunity. Over the course of the spring through fall semesters in 2017, two students shadowed engineers and construction managers on the project site to gain practical knowledge through direct, hands-on experience. The cogeneration system at EMU uses natural gas to power the turbine, which generates electricity and heat from the exhaust air stream, thus producing electric and thermal energy from a single source of fuel. The exhaust air stream, at approximately 950º F, is channeled into a Heat Recovery Steam Generator (HRSG). The steam is then sent out to campus via the steam distribution system. When the University’s thermal load exceeds the recoverable energy from the exhaust, a supplemental duct burner in the HRSG provides additional thermal capacity at 90% + efficiency. The cogeneration system operates utilizing an electric import control strategy. 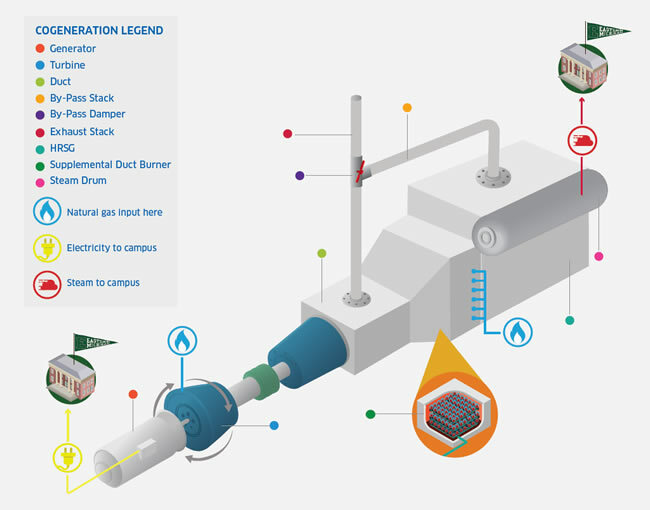 The system allows for an electric import set point, which is adjustable to ensure power is always flowing into campus as required by the utility. 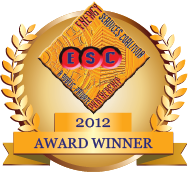 Hi, Please send me more information regarding the Success Story for Eastern Michigan University. Thank you!